​Who will be at the start line of the world’s toughest adventure race? Find out now! The wait is over! Following thorough deliberation, the Red Bull X-Alps race committee has chosen the thirty athletes that will compete in Red Bull X-Alps 2017, and it is a mix of veterans and rookies alike. 20 former competitors return to the start line. The race will see familiar names like Aaron Durogati (ITA), Tom de Dorlodot (BEL), Paul Guschlbauer (AUT) and of course, four-time race winner Christian ‘Chrigel’ Maurer from Switzerland. 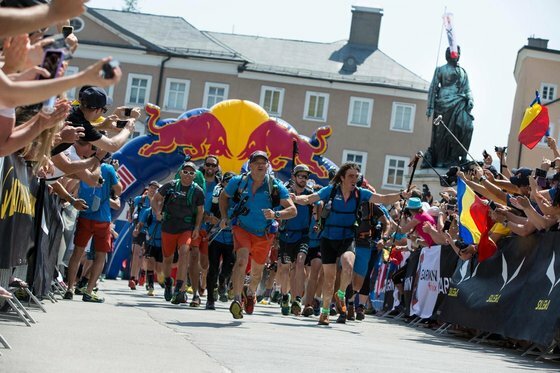 The 2017 edition will furthermore feature 10 new athletes – among them Krischa Berlinger (SUI) and Jesse Williams (USA2) who took part as supporters during previous editions of the Red Bull X-Alps. Other notable athletes include Toma Coconea (ROU), now back for his 8th Red Bull X-Alps, and the only athlete to have participated in every single Red Bull X-Alps race, Antoine Girard, the Frenchman who recently set the record for the highest paragliding flight ever, at over 8,000m over Broad Peak in the Karakoram, and Gavin McClurg, USA, who this year completed a challenging and treacherous cross-country traverse of the Alaska Range. “We’ve put together a very impressive group of people for 2017. These guys can run, climb, fly –and do it all at speeds that are super-human, in conditions that would send your average adventurer home for a warm cup of tea. With the level of competition rising each year we are looking forward to an exciting and close race,” says race director Christoph Weber. .